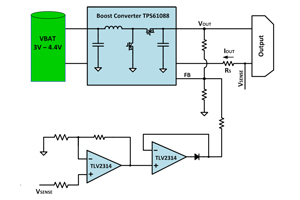 This reference design delivers an accurate output current limit solution for the TPS61088 boost converter. 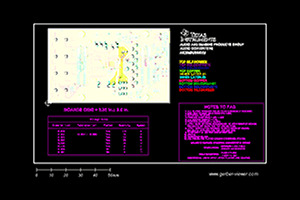 This feature is realized by an output current sense resistor and a low cost operational amplifier. When the output current is higher than the current limit point, the output of the operational amplifier will be higher than the TPS61088’s 1.204V reference voltage. So the output voltage drops. 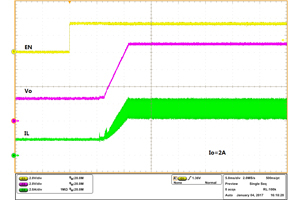 If the output current continuously increases, the output voltage will be further decreased. Thus the maximum output power will always be limited below a certain level.